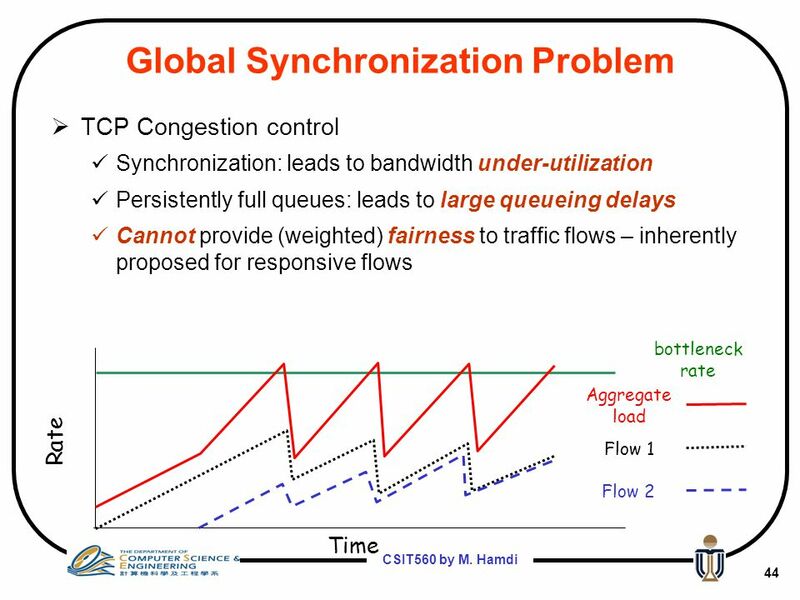 Describe TCP global synchronization and the problems it causes and possible fixes for it. As shown above TCP global synchronization is when multiple TCP flows experience congestion at the same time, thus they all drop to their slow start threshold at the same time, and start linearly increasing again. The immediate drop at the same time (due to uncontrolled congestion probably caused by output tail drop) rules in all of these flows syncronizing their TCP algorithms.